Top Scorers, Assists and Bookings. Thika United tread dangerously after 5-2 loss. Thika United FC suffered a 5-2 defeat in the hands of Kenya Premier League (KPL) defending Champions, Gor Mahia FC, on Sunday afternoon at Kenyatta Stadium in Machakos. The loss which is the fifth in 12 matches and having only managed a single win and six draws, the trend paints a rather daunting scenario with the team having plummeted to the 17th position in the 18 team league.Thika United had similar struggles in 2017 and after picking two wins in the opening four matches, the team went on a 13 match win-less streak. We had to win the playoffs to avoid relegation. The good news is it’s still possible to wiggle out of the slump with the remaining five matches left to the end of first leg, by treating the next five games as must win with a target of fifteen points; Add that to the current nine and the team would be in the top eight by June. Well that looks easy on paper but it’s worth a shot, if the team can play with the same vigor and spirit they exhibited in the first hour of the Gor Mahia game then nothing is impossible. 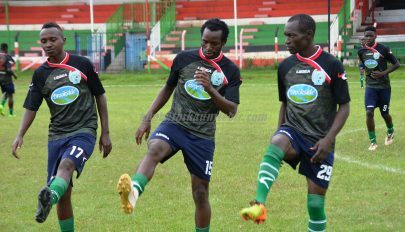 Thika United will be at home on Sunday 29th, to play Nzoia Sugar who also lost (3-1) to Vihiga United in their last league match.Compiled by Ken_Magu. ← Thika United set back;Tsuma out for six weeks.